A gorgeous first Father's day present! Once they outgrow the baby grow they make a really cute keepsake. Super cute from their son or daughter! A perfect first Father's day gift for daddy and baby! Or change the text to a sentence of your choice for a not so new daddy. With many personalisation choices you can really create a personal unique gift. A super soft babygrow for the baby to wear and a gift for the parents to treasure. 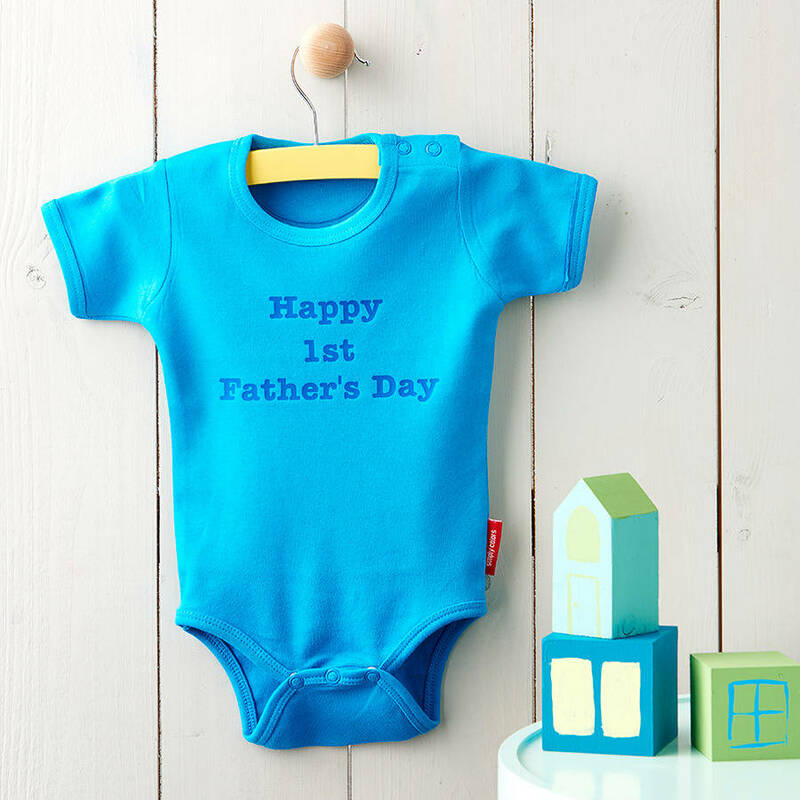 Choose from 12 babygrow colours, 17 print colours and four font styles to make a completely original item. Enter what you would like on each of the three lines - this could be absolutely anything, you could go for the old classic 'Happy Father's day, Dad' or maybe something a bit more personal. It is up to you. Please enter the text in the personalisation box as you would like it to be printed. So if you would like all capitals write in capitals, all lower case write in lower case, and if you would like just the first letter as a capital then you should write it like that. We will make your personalisation in the exact same way that you write it so please make sure it is written how you would like it. 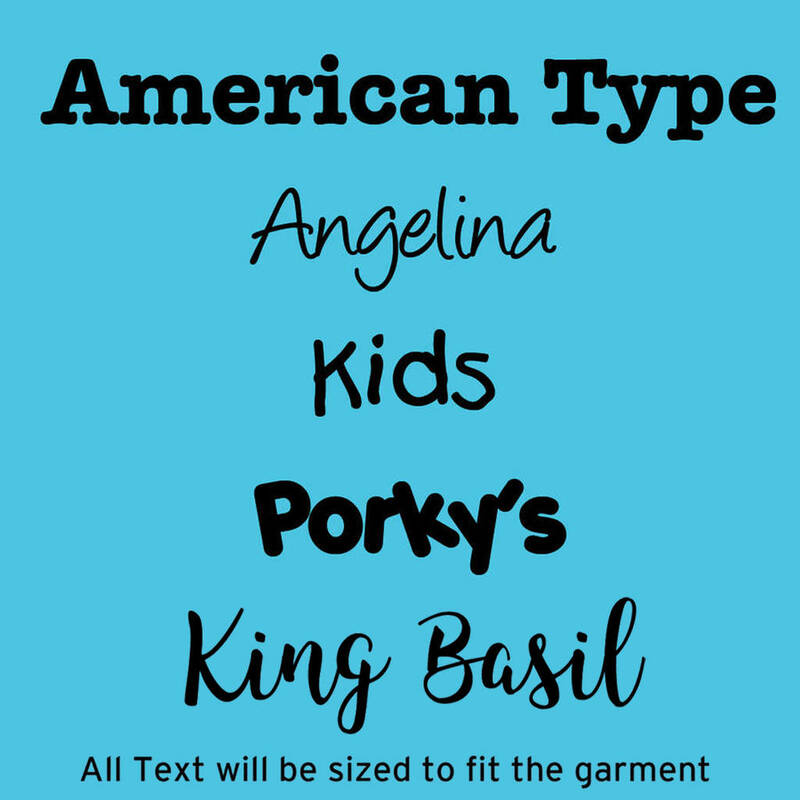 Choose from four font styles: American Type, Angelina, Kids and Porky's. See above for an image of all fonts. 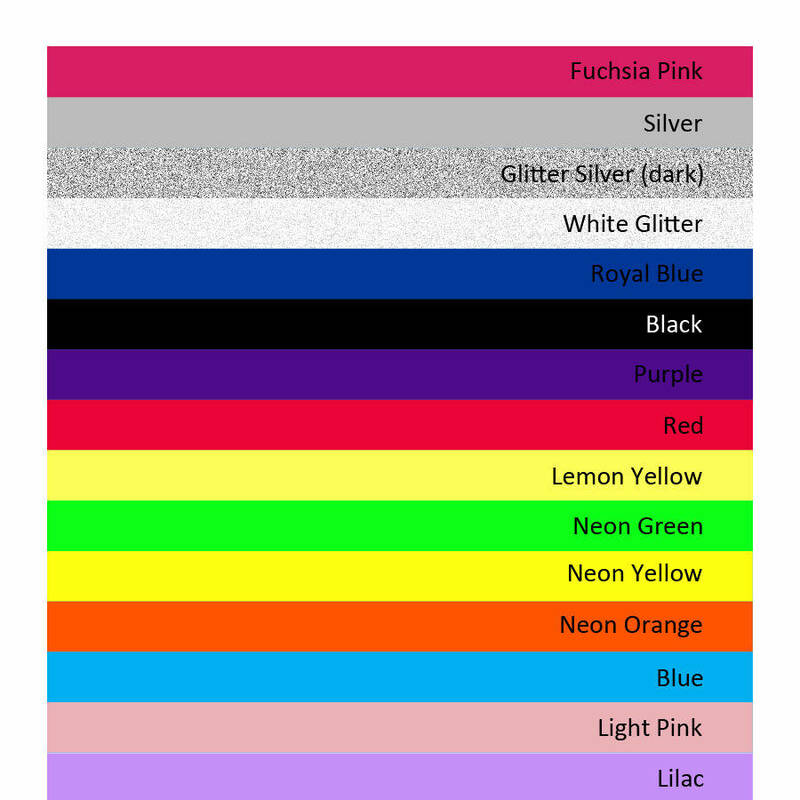 Choose from 17 different print colours. 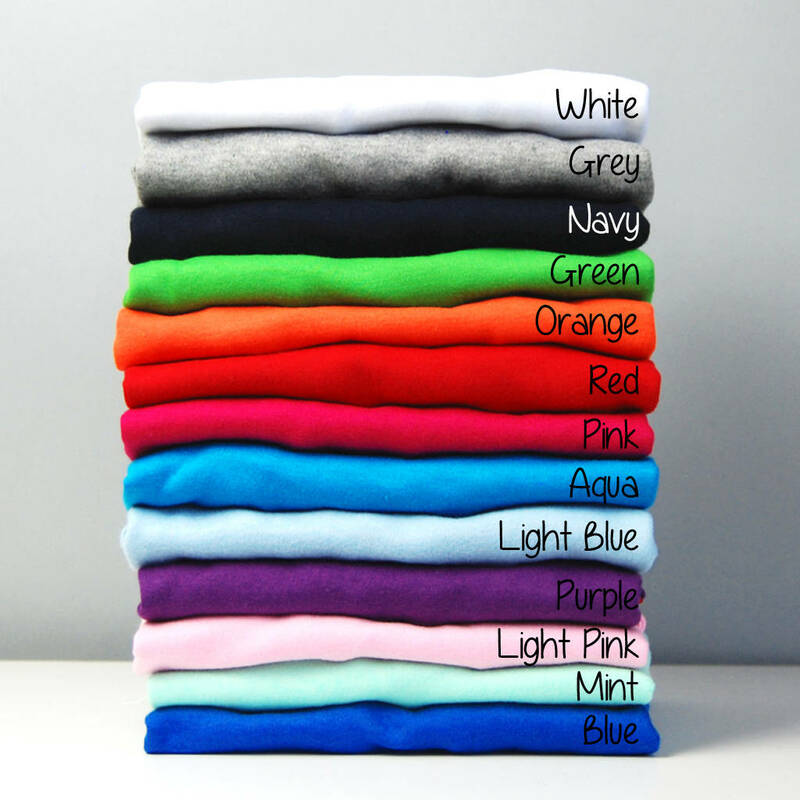 Please note that some colours are too similar to the babygrow colours and so we do not recommend them. This includes the obvious White on White and Red on Red, but also Fuchsia Pink on Pink, Blue on Aqua Blue and Black and Navy on Navy Blue. Main image shows a light Blue Babygrow with Navy print colour. Available as a short or long sleeve bodysuit. 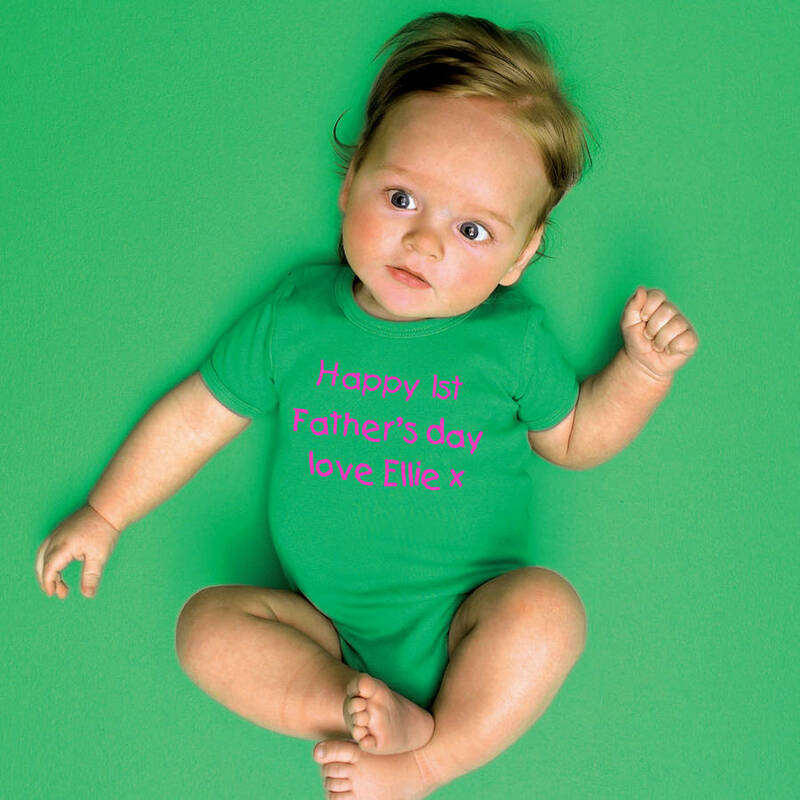 Our babygrows (exclusive to Simply Colors) are made from excellent super soft cotton (220g). The Babygrow sizes start at 0-3m and go up to 18m-2y. 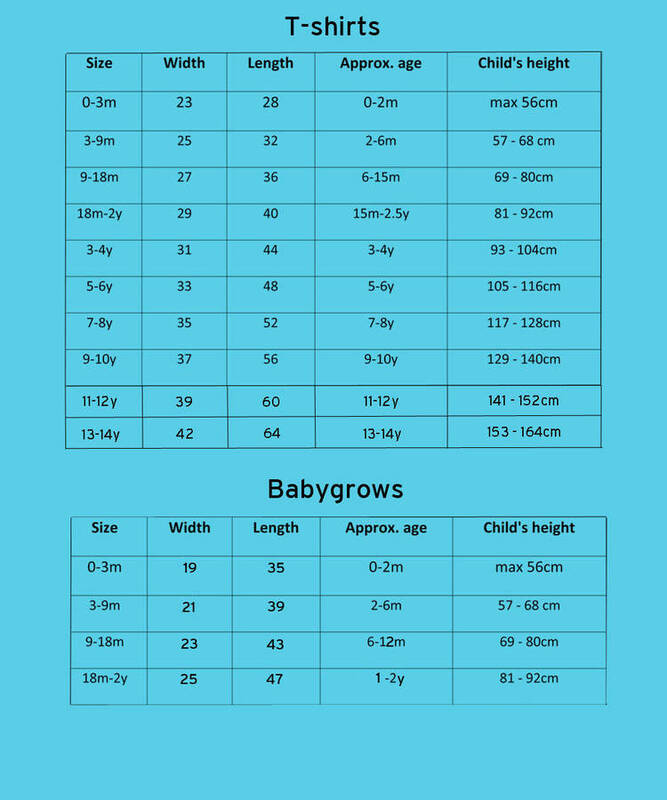 There is a size chart shown in the images above. The text will be sized to fit the babygrow.